If you follow me on Instagram you’ll know how much I love a face mask. This week I’ve been trying out something slightly different – Jolee Hydra-Glow Dry Sheet Mask. And I’ve got an extra one to give away so you can enjoy a little beauty treat too. Sharing on Instagram is optional. 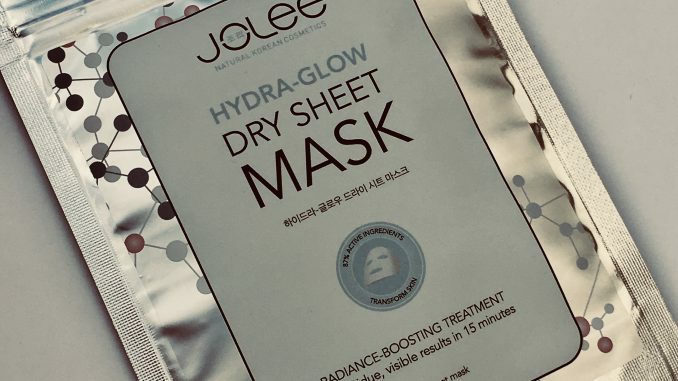 As the name suggests, the Jolee Hydra-Glow Dry Sheet Mask is dry to the touch, not wet and slimy like traditional sheet masks. It’s reusable, so you can use it up to 3 times – the pouch is resealable for hygiene. 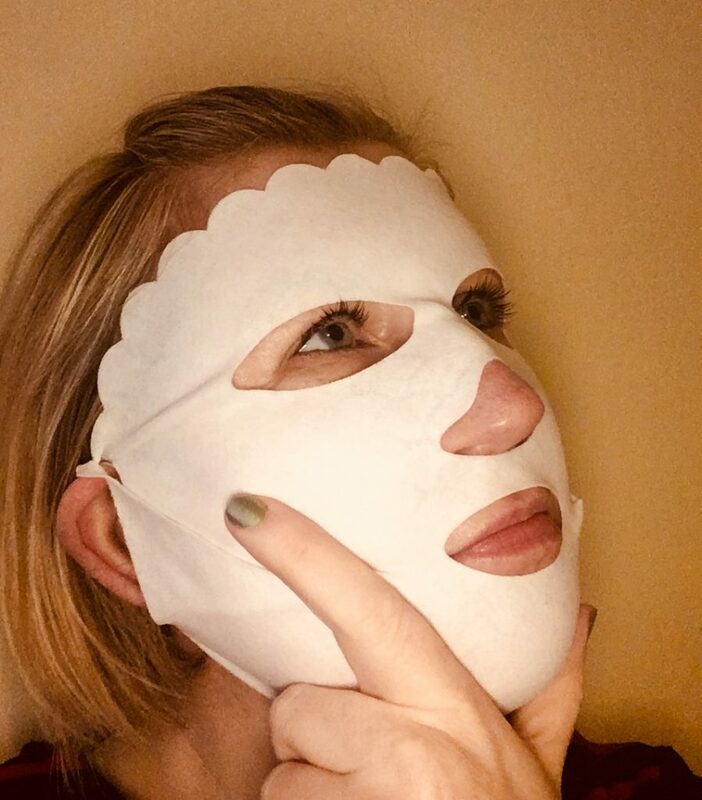 You might have seen a dry mask like this in the Charlotte Tilbury skincare range, so whilst they’re still pretty novel, they seem to be on the up. It’s very comfortable, though you wouldn’t want to answer the door wearing it. Or maybe you would? The children-scaring potential is strong with this one. The mask contains 8 powerful actives, including Tetrapeptides (to reduce age spots); Amino Acids (to reduce appearance of wrinkles); Avocado Oil (to nourish); Vitamin E (to promote skin elasticity) and Shea Butter (to hydrate). Once you’ve got it on, massage the mask slightly in to the skin so that your body heat can help release its ingredients. Then wear it for 15 minutes and remove. There’s no hanging around waiting for serums to absorb, so it’s a good first thing in the morning treatment to perk your skin up for the day. I found it left the skin nicely glowing and feeling moisturised, but I have no idea how it does that because the whole process is completely dry to the touch. Magic, probably. The promise is that the powerful actives in the mask will keep treating the skin up to 8 hours later. More magic. 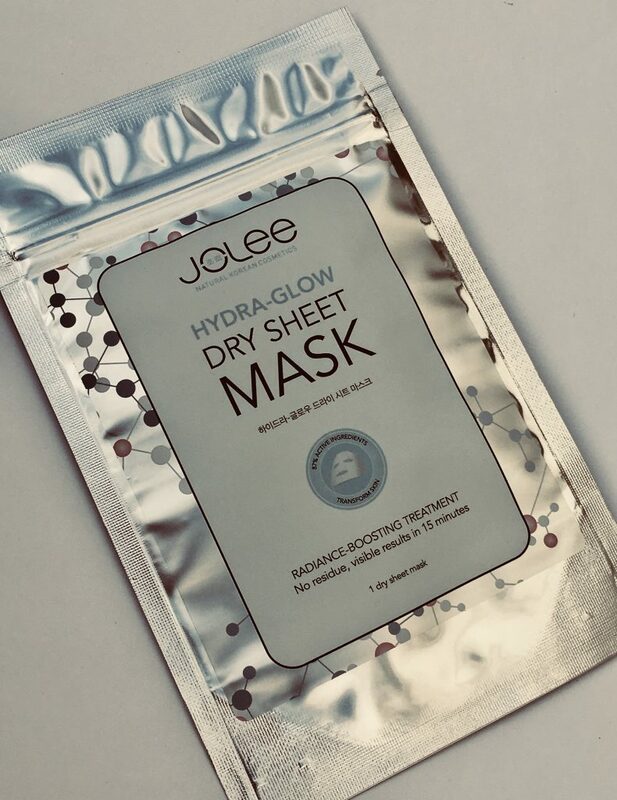 The Jolee Hydra-Glow Dry Sheet Mask retails at £29.99 but is currently on a whopping 57% off special offer and reduced to just £12.99 here at Just Beauty. I’ve got an extra Jolee Hydra-Glow Dry Sheet Mask for one lucky reader to try out the dry mask tech for themselves. Closing at midnight on Sunday 4th March 2018. One winner will be chosen at random and the prize sent out as soon as possible after that.